At the most basic level, acrylic paint consists of pigment, which gives it color, and a synthetic resin binder. The binder is what holds the particles of pigment together in the buttery consistency we expect when we squeeze paint from the tube. You may have seen these two ingredients if you've encountered a tube of acrylic that has separated. When you squeeze the tube, a gelatinous, almost clear substance (the binder) comes out before the actual colored paint. It is often due to a rush job at the manufacturer or an old and poorly stored tube. It's an easy fix though: You have to mix the pigment and binder back together. Things get complicated when you want to know the exact ingredients that are in the binder. Each manufacturer has their formula, and some include ingredients designed to cut costs. Paints may also include any variety of additives. Surfactants, for example, are used to disperse pigments, and anti-foaming agents stop the paint from frothing as you use it. Cheaper paints may contain things that cost less than actual pigments, such as fillers, opacifiers, or dyes. Different brands of paint also contain different proportions of pigment. This is known as pigment loading. If you've tried various brands of what is supposed to be the same color, you may have encountered this. It can often be very apparent that the colors of one brand are more intense than others. For all of these reasons, artists often stick with one paint manufacturer. Then again, some artists find that a particular manufacturer produces a specific color that they like more than others. Artists tend to be very loyal when they see find they enjoy. 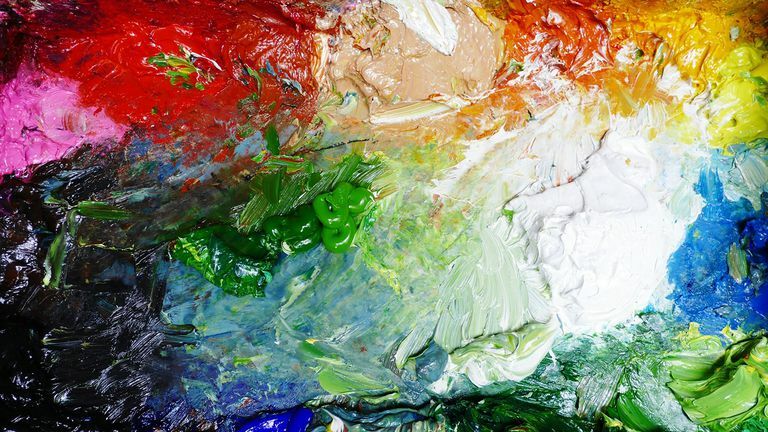 Many oil painters like to mix their paints, but is this possible with acrylics? You can make acrylics as well. However, given the nature of acrylic paint, it is trickier. You'll have to work fast. Speed is crucial because of the primary difference between oil and acrylic paints: acrylics are water-based, so they dry faster. The same speed you use when painting is the speed you need to use when mixing. Other than speed, mixing acrylics is relatively easy, though it is not as simple as oils. At it's most basic, an acrylic paint recipe requires a pigment and a binder, and you will need a container to store the paint. There are other additives that you can add as well. You can use dry pigment. The same as is used for oil paints. That's because it's a universal ingredient common in both types of paint. You will need to grind the pigment into a base of either water or alcohol. Organic pigments will disperse much better in alcohol, and you will add water before that evaporates. Kama Pigments' tutorial for how this is done is excellent because it offers solutions to problems you might encounter. The other pigment option is called an aqua-dispersion, such as that sold by Kama Pigments. These have already taken care of the most difficult part of mixing acrylics because the pigment has been dispersed into a water base for you. All you have to do is mix it with the binder. When it comes to the binder, you can use almost any acrylic medium that you would normally mix with a standard tube of acrylic paint. 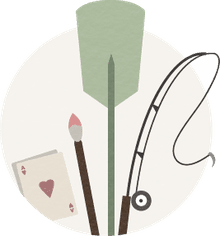 As explained on PaintMaking.com, a "binder medium" is the basic medium for this purpose, but you can also choose a gel medium, impasto medium, or iridescent medium. Each of these options will produce different effects in your finished paint. While mixing your acrylics does come with some hassle and a learning curve, the flexibility it offers you to create custom paints can make it worthwhile in the long run. How Do You Use Acrylic Paint on Fabric?